Happy Monday, friends! As part of my New Year’s resolutions this year (I know, seems like such a long time ago), I promised myself that I would invest more in myself, and take better care of my skin and hair. 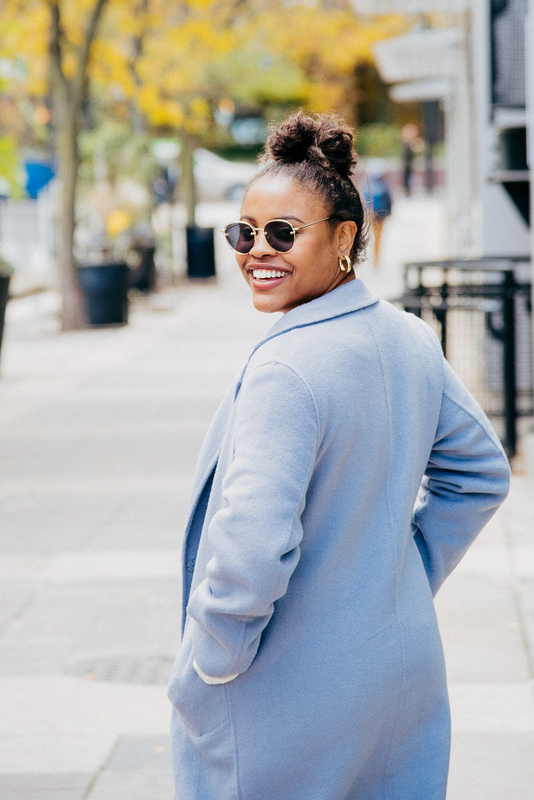 I’m happy to say that it’s been going pretty well (be sure to check out my favorite organic haircare line! ), and today I wanted to share three of my favorite skincare products that I’m loving right now. I’ll share another round of favorites in the coming weeks. Let’s get started! I picked up this masque as part of a set from the Nordstrom Anniversary Sale (it’s currently $23 and goes up to $34 after the sale), and I’m really liking it so far. 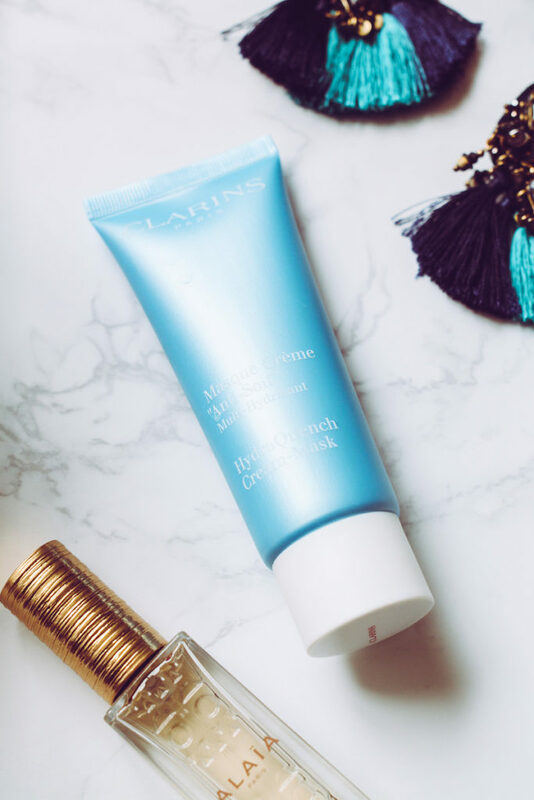 I’m all about well-moisturized and glowy skin, and this masque certainly does the trick! I like it because you apply it at night after cleansing your face (a little goes a long way), and you can pretty much use that as your moisturizer for the night. If you happen to put too much, you can dab the excess away with a cloth or tissue. When I rinse it off in the morning my skin feels super smooth and very hydrated! 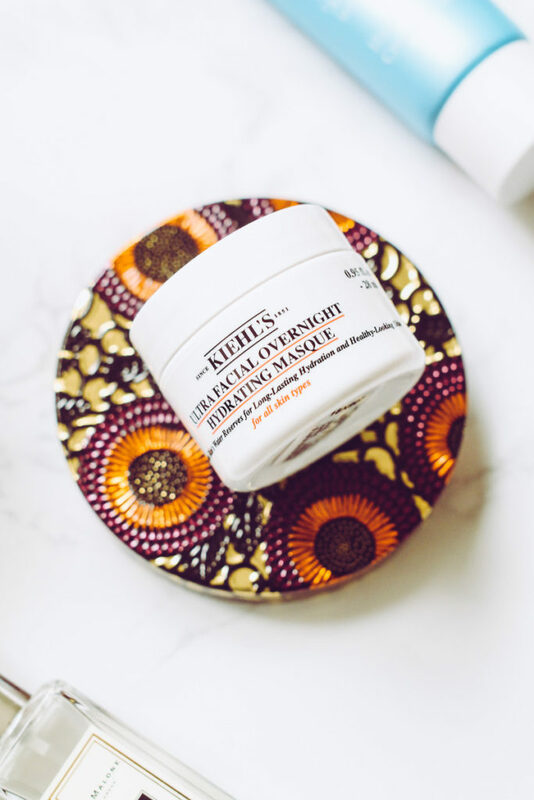 Next up is the other masque included in the set from Kiehl’s. I’m so glad this one was in there because I’ve been hearing about the wonderful benefits of Turmeric (not just for skincare), and was so excited to try it! Let me tell ya… it’s wonderful. Like I said, I really love when my skin naturally glows and looks bright, so this masque is perfect! The tiny beads make it double as an exfoliator when you rinse it off, and it also does a great job of cleansing the pores. Since this is the daytime mask, I typically only use it on Sundays (not waking up any earlier for work LOL), and my skins feels very refreshed! I’m a longtime fan of Clarins products (you can check out all of my favorites on my skincare page), because they just make such quality products. This was actually the first masque that I picked up this year, and it’s awesome. I like it because of its super creamy texture, and it does a great job of hydrating the skin! I think you’re supposed to leave it on for ten minutes, but I do around 15 minutes. 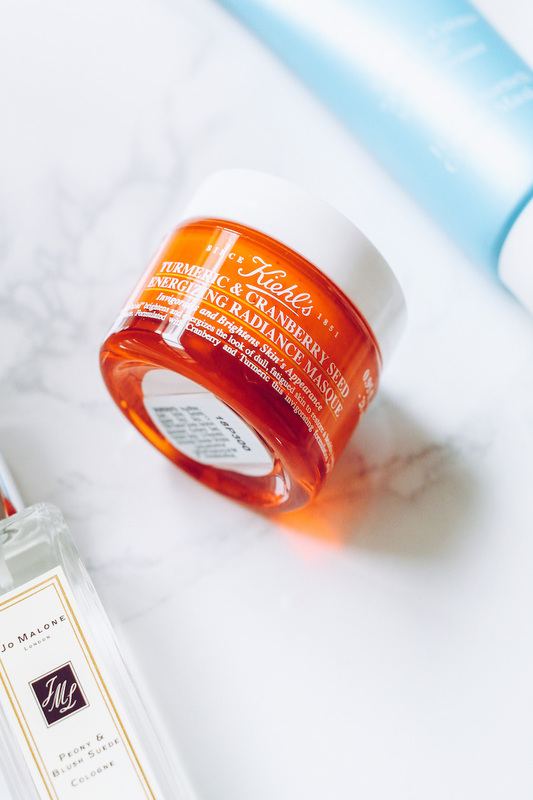 Unlike the Kiehl’s overnight mask, you definitely need to rinse this off. Since it’s a bit expensive, I usually just use this once per week. So glad you liked it, Helena! So glad to hear! Please let me know how you like them! I’ll have to try these out! Thanks for sharing! Of course! Please let me know how you like them when you do! I love a good hydrating masque. But that radiance masque need to get into my skin care routine too! ah I have not tried any of these products, but I need to! I struggle with moisture for my face and must try these! I went to Rituals the other day and they gave me a sample for a lotion that worked so well because there was no brand that helped with my dry skin. I will have to try these out! I’ve never heard of Ritual, but am deff going to check them out! And I just love when you find products that solve all of your worries! I haven’t tried any of these. Thanks for sharing. No problem! And I definitely recommend them, you’ll have to let me know if you try them!